What could be the cause for squash that is rotting on the vine, suffering from pumpkin rot disease? 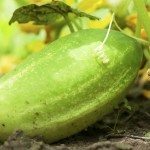 How can cucurbit fruit rot be avoided or controlled? Many cucurbits may be prone to decay while on the vine. What Causes Pumpkin/Squash Rot on Vines? There are a number of diseases that can afflict a cucurbit crop. 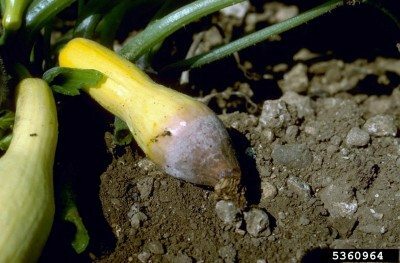 Black rot – One of the more prevalent diseases resulting in pumpkin or squash rotting on the vine is called gummy stem blight, or black rot, and is caused by the fungus Didymella bryonia. 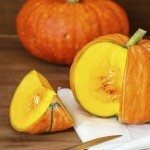 This disease is particularly fond of pumpkins and squash, so if your pumpkin fruits are rotting, this is a likely culprit. Gummy stem blight can affect all above ground parts of the plant at any growth stage. When affecting the fruit, it is called black rot, although lesions may appear on foliage as well and it may become curled and mottled yellow to reddish brown. This pumpkin and other cucurbit rot disease causes the fruit to appear as brown to black rot of the rind, flesh and interior seed cavity along with the appearance of a heavy white and black fungal growth. Black rot may be seed born or survive on plant detritus from plants which were previously infected. Splashing water spreads spores, infecting other fruit. This disease thrives between 61-75 F. (61-23 C.) in moist, damp conditions. Anthracnose – Additional diseases may attack cucurbit fruit and among these is anthracnose. Anthracnose will also affect foliage and is most common on watermelon and muskmelon, although it is seen on squash and pumpkins as well. It loves warm temps and high humidity with rain, much like black rot. Lesions upon fruit are sunken and circular in shape which darken and are speckled with tiny black spots. This disease also overwinters in plant debris. Phytophthora blight – Phytophthora blight also afflicts cucurbits. It affects all above ground parts of the plant causing underdeveloped or misshapen fruit covered with a white mold with fungal spores. Sclerotinia – Sclerotinia white mold especially targets pumpkins and hubbard squash, causing rapid decay and appearing as a cottony mold dotted with visible black fungal spores. Most of these diseases overwinter in the soil or on desiccated plant debris. They thrive in moist conditions in heavy, poorly draining soil with insufficient aeration. There are some varieties of squash with resistance to some of the diseases listed above and, of course, those are recommended. The next best defenses are proper cultural practices and a two-year crop rotation. Cultural practices include removing all decaying plant debris so overwintering pathogens can’t be transmitted to next year’s fruit. Raised beds filled with light, well-draining medium to allow for proper aeration and drainage are also beneficial. Take care not to injure the fruit. Any exterior damage to the cucurbit is an open window to disease. Control insects and weeds around the plants. Of course, proper application of fungicides and some foliar sprays may control some of the above as well.